NHS trusts were left vulnerable in a major ransomware attack in May because cyber-security recommendations were not followed, a government report has said. More than a third of trusts in England were disrupted by the WannaCry ransomware, according to the National Audit Office (NAO). At least 6,900 NHS appointments were cancelled as a result of the attack. NHS England said no patient data had been compromised or stolen and praised the staff response. 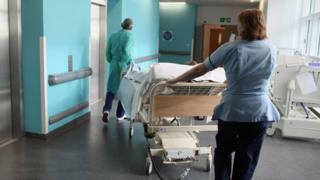 The NAO chief said the Department of Health and the NHS must now “get their act together”. WannaCry, which spread to more than 150 countries in a worldwide ransomware outbreak beginning on 12 May, was the biggest cyber-attack to have hit the NHS to date. 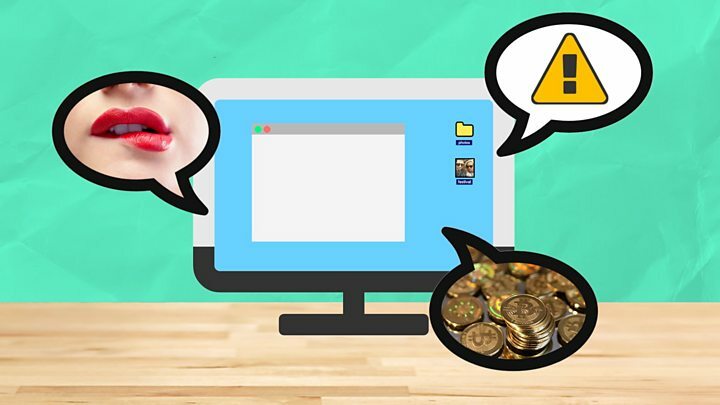 The malware encrypted data on infected computers and demanded a ransom roughly equivalent to £230 ($300). The NAO report said there was no evidence that any NHS organisation paid the ransom – but the financial cost of the incident remained unknown. An assessment of 88 out of 236 trusts by NHS Digital before the attack found that none passed the required cyber-security standards. The report said NHS trusts had not acted on critical alerts from NHS Digital and a warning from the Department of Health and the Cabinet Office in 2014 to patch or migrate away from vulnerable older software. The Department of Health also lacked important information, the report said. Organisations could also have better managed their computers’ firewalls – but in many cases they did not, it said. NHS organisations have not reported any cases of harm to patients or of their data being stolen as a result of WannaCry. NHS England has identified 6,912 appointments – including operations – that were cancelled as a direct result of the ransomware. But it estimated that about 19,000 appointments in total may have been affected. Cases included at least 139 people potentially with cancer, who had urgent referrals cancelled. The NAO credits the widely reported work of cyber-security researcher Marcus Hutchins, who accidentally helped to stop the spread of WannaCry. His “kill switch” involved registering a domain name linked to the malware, which deactivated the program’s ability to spread automatically. Home Office Minister Ben Wallace told BBC Radio 4’s Today programme that the government was “as sure as possible” that North Korea was behind the attack. “This attack, we believe quite strongly that it came from a foreign state,” he said. “It is widely believed in the community and across a number of countries that North Korea [took on] this role”. Speaking on the same programme, former chairman of NHS Digital, Kingsley Manning, said that a failure to upgrade old computer systems at a local level within the NHS had contributed to the rapid spread of the malware. Mr Manning blamed a lack of time and resources but also “frankly a lack of focus, a lack of taking it seriously” for individual NHS organisations’ failure to keep up with cyber-security improvements. “This was an extremely unsophisticated attack,” he added. The NAO said the NHS “has accepted that there are lessons to learn” from WannaCry and will now develop a response plan. It will also ensure that critical cyber-security updates – such as applying software patches – are carried out by IT staff, the NAO said. 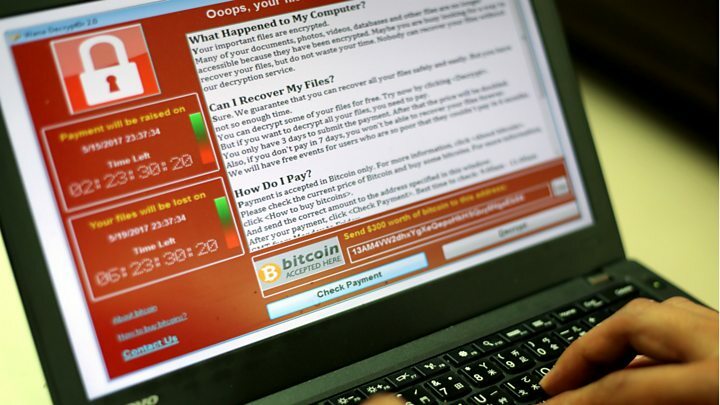 WannaCry was “a relatively unsophisticated attack and could have been prevented by the NHS following basic IT security best practice,” said Sir Amyas Morse, comptroller and auditor-general of the NAO. Keith McNeil, NHS chief clinical information officer for health and care, said: “As the NAO report makes clear, no harm was caused to patients and there were no incidents of patient data being compromised or stolen. For many executives, a serious cyber-attack is now very high on their list of risks to their organisations and a priority for disaster planning. So what is most shocking in this report is the lack of planning at a local level in the NHS for such an event. To be fair, the Department of Health had developed a plan – it was just that it had not been properly communicated or tested in the NHS trusts. When disaster struck, nobody seemed to know who was in charge or what to do. Of course, all of this could have been avoided if security patches had been applied to protect the Windows 7 systems common throughout the NHS. Once again, there had been warnings sent out by NHS Digital, but many trusts failed to act upon them – though in that they were no different from many organisations around the world that were also hit. In one way, the NHS was lucky – if, instead of a Friday in May, the attack had taken place on a Monday in winter, with a week’s appointments affected, the damage would have been far worse. Cyber-security experts will tell you that dealing with attacks like these is mostly a management rather than a technology problem. And in this case the NHS proved itself incapable of managing a speedy and effective response to its first major cyber-security crisis.